A true ranch-to-table dining experience is what you’ll get each time you enjoy HeartBrand Beef Certified Akaushi Beef. But, what does ranch-to-table mean and why is this important? Ranch-to-table (or fork) refers to all of the processes in the food chain from livestock production to consumption. At HeartBrand, we are involved in every step of this process. 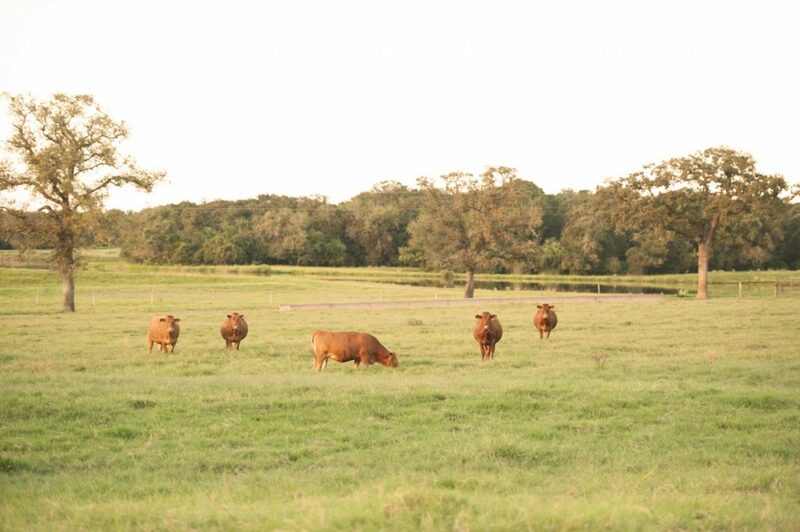 It begins on our ranch in Harwood, TX where the daily decisions on cattle handling, breeding and management take place. That leads to the feed yard and finally the packer where HeartBrand inspects and analyzes data from each animal to ensure the beef that makes it to your table is both the best-tasting beef in the world and the healthiest beef you’ll ever eat. Currently, HeartBrand’s Akaushi sired calf crops grade 95% USDA choice or higher, on average. That means, that the daily decisions we make on the ranch at Harwood, affects what makes it to your plate. HeartBrand prides itself on selling the steak…not the sizzle. Meaning that great taste and health benefits are unique to Akaushi cattle, and we are happy to serve that up every time you dine with us. So, why does any of this matter to us and most important to you? “The main reason I think ranch-to-table matters is because you know where your beef is coming from. When you deal with HeartBrand your dealing with the ranch. You get to deal with the people who care the most about the beef they are selling and take pride in the product every step of the way,” said Jordan Beeman, president, HeartBrand beef. As fourth generations ranchers, and a family that spends each day dedicated to improving the beef industry as a whole, the Beeman family takes pride in providing each customer beef that is backed by this ranch-to-table concept. At HeartBrand our passion includes development of the Akaushi breed, but our focus is the longevity and growth of the American beef industry. That way you get the consistent, delicious and nutritious eating experience every time you sit down and cut into a HeartBrand steak.